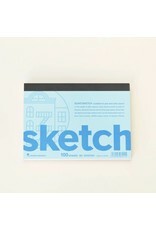 High quality meets affordability in the Maruman Soho sketchbook series. 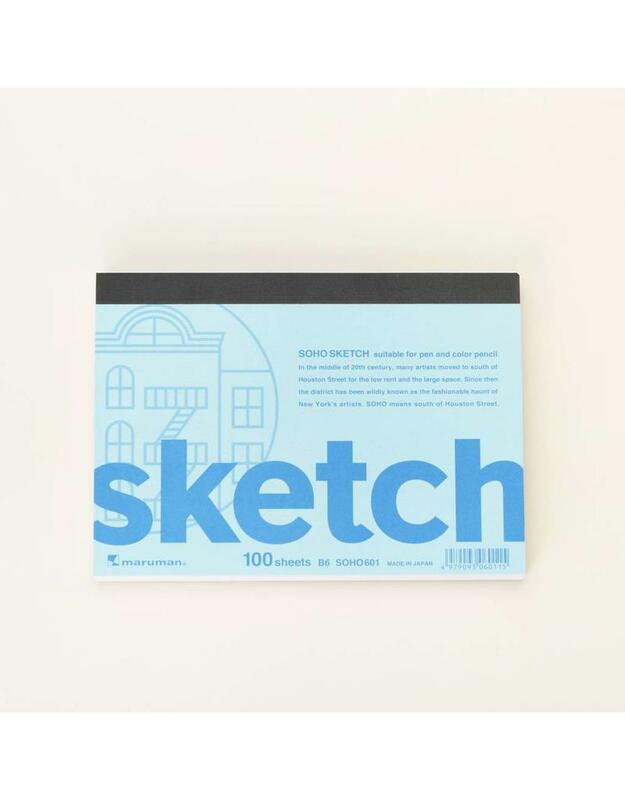 This wonderfully portable little sketchbook features a medium-weight art paper ideal for pens, colored pencils, charcoal, pastels, and graphite. 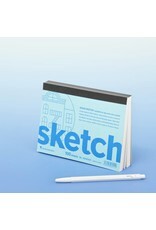 Its glue binding lets you pull out finished pages cleanly and easily. 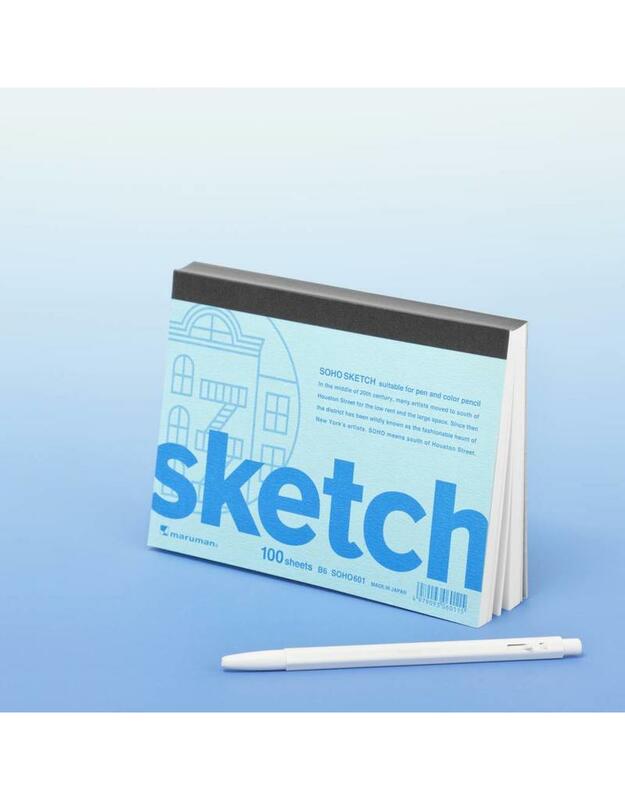 Perfect for students and kids. Measures 6.7" x 4.9" (standard B6 size.) 100 pages.